The best curriculum won’t work with a child who has not been trained in the habit of obedience. Your child must learn to obey or you can never serve as his teacher! 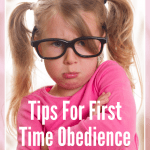 One of my readers then requested that I offer more tips for teaching first time obedience or reviving obedience. 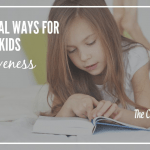 That request inspired me to write this post for those times when you are struggling as a parent to teach your child to obey, or get them back in the habit when you have let obedience slide. We wanted them to learn to obey the first time, so when God spoke to them they would obey Him without question. If they were about to run in front of a car, we couldn’t risk them waiting till the 3rd time we said “Stop!” Or if they were about to touch a hot stove, they needed to know that when we said “don’t touch!” they should immediately stop. In reality, if our kids can obey us the 3rd or 4th time we tell them something, they have the ability to obey the FIRST time, so why not require it? Related: Is Your Parenting Leading Your Kids To Rebellion? Picture the parents who use the “1, 2, 3” method. Their child has been trained that they don’t have to move or obey right away, but can wait till right before Mom or Dad says “3”. Repeating your commands or threatening them like this, trains them to disobey. So what should you do if your children are in the habit of not obeying the first time you speak to them? Don’t get angry, but realize that either they are still young and in training, OR that you have unintentionally trained them to disobey. At that point, it’s up to YOU to have the self-discipline to break the habit of repeating instructions. In either instance, patience will be required, as training is still in progress. 1. Sit down and talk to them about the problem. 2. Explain and give examples of right and wrong responses when they are told to do something. Then PRACTICE right responses. This is especially important for younger kids. We would turn it into a game, and clap and praise when they responded right during our practice sessions. 3. Pray with them asking God to help them to obey right away, and to help you, the parent, be consistent, as well. 4. Let them know that for the next few days you will remind them when their response is wrong (disobedient), and ask them to try again. Bad habits take time to change, so we can’t just expect them to instantly start responding right, if we have allowed them to wait till the 3rd or 4th time. 5. Consider a character chart, where you give stickers each time you catch them responding right. 6. After a few days of reminding, and practicing the correct behavior, let them know that you now EXPECT them to continue this way without reminders. Set them up for success by giving some easy or fun commands early in the day, then praising the obedience. This will make the other kids eager to try, and also serve as a reminder of what is now expected. 7. 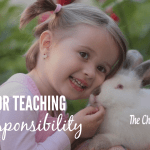 Determine an appropriate consequence for disobedience, and let the kids know in advance what it is. Then when they “forget” and don’t obey the first time, you can calmly call them aside and talk to them about it, and remind them of the consequence they will receive because of their disobedience. 8. Be consistent, and don’t fall back into the old habit of telling them often, or threatening and raising your voice. When you aren’t consistent, they learn to take chances. It’s not fair to make them wonder each day if you are going to be strict, or if one or two of them might get away with pushing the limits. Consistency will lead to frustration free discipline. 9. Be sure and show grace when needed. 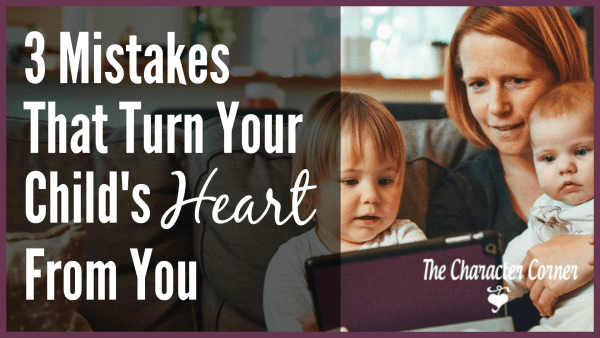 If a child is doing very well, but is having a bad day and messes up, determine whether it’s out of rebellion, or more of an immaturity issue that needs to be worked on. 10. If you are going through an extra busy time, or for some reason DO find that you have fallen back into the habit of giving orders more than once, or yelling to get the kids to listen, call another family meeting. Admit that you haven’t been training them to obey like you should, apologize for your inconsistency, and once again have a few days of training and practice. It’s easy to gradually let things slip, and we all are prone to it. Don’t get discouraged, and don’t get angry with the kids. Realize the need to address the issue, and ask God to help you to be consistent! Do you want to reinforce obedience in a positive way? I have the perfect (FREE!) tool for you – an Obedience Chart to use with your kids! 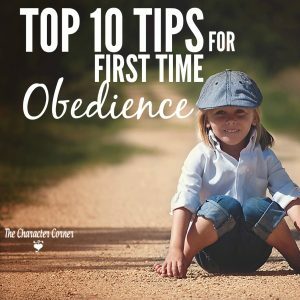 Yes, first time obedience is so important! Unfortunately I have been slacking off on this lately, but I have recently renewed my efforts. More training is needed for sure. Thanks for your post. This is exactly like what we have been looking for. Our kids haven’t been doing so great in the obeying department lately. They are still very little, but it seems like it has been getting worse. I’m sure my temper isn’t helping things! Will definitely be sitting down to read through this list with my husband. Heather, when they are very little it takes A LOT of time, work, and being consistent. I’ll tell you what though – the more time and work you put into it when they are so little, the easier things will be as they get older because you’ve laid that good foundation. Hang in there, and make a deal with your husband that you two are going to encourage each other to stay consistent, and spend time training. Great tips that I will be implementing with my three children! Thanks for linking up at Wake Me Up Wednesday! We have been working on this with our toddler. 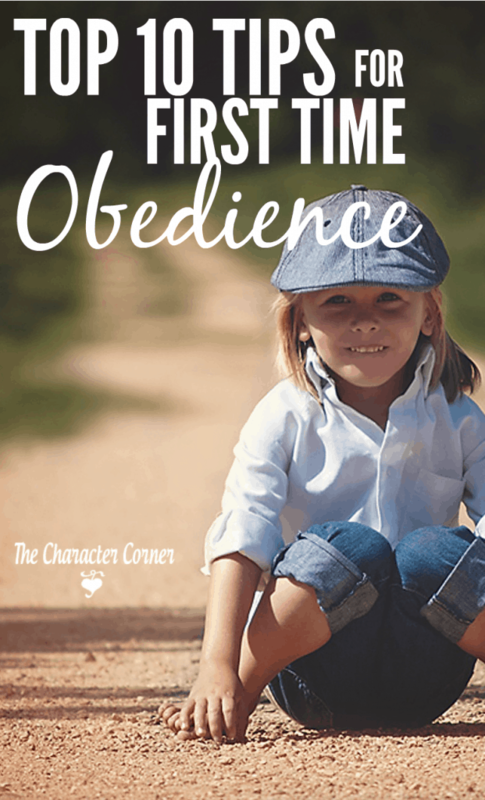 My hubby and I have been reading many James Dobson books lately, and he says you have between the ages of 3-5 to set up that foundation of first time obedience. It’s so much work, but I know it will be worth it! Stephanie, good for you! It IS a lot of work, but so worth it. You will be so glad you took the time you did to lay that foundation. Loved this list of ideas. I am going to try it. I have a 13 year old who may need a different approach. 🙂 Thanks for this! Visiting from Thriving Thursdays! Kathie, I would love to sit, share/process and get some helpful tips and hints. My husband and I have 3 children, 1yr. 6mon., 2yr.7mon., and 3yr.11mon. year olds. 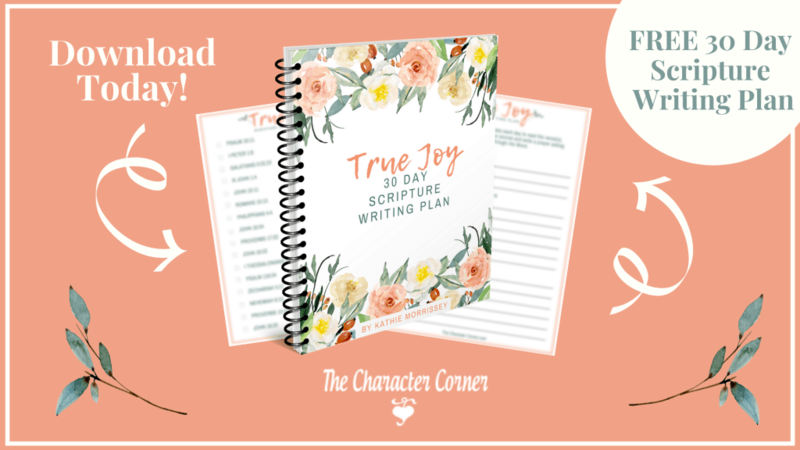 My husband and I had our first when I was just shy of 30 and we felt convicted by the Lord that we were too strict and not meeting his need or personality. So since we have really tried to know him, look at motives, speak eye to eye, love him well, train him/ teach him, be consistent in our discipline when they have disobeyed. BUT, I feel like we are out of control. Asking 3-10 times to get pants, shoes, to come to me (2year old especially, who thinks it’s a game). Finding this post has been very good reminders on things my husband and I are doing that we could change. 1. the repeating of the request and of their names. 2. not always having them practice the positive response. 4. This one I feel so bad about: but appearing to my children tired, frustrated, and like I’m not enjoying them. Hi Annie! It sounds like you kind of gave yourself a list of tips to work on already. 🙂 I think you are on the right track with your thinking. The main thing is being consistent – practice having them answer and obey the first time. When they don’t, remind them, and give the order again. Really praise them when they remember! Praise goes SO far with motivating kids to listen and obey. They really do want to please us, so let them know how pleased you are when they listen the first time,etc. When you are busy try to be extra aware to follow up. If possible work together with your hubby on this too. Often when I was busy cooking dinner, I’d call out orders over my shoulder, never paying attention to if they were even listening. My husband would jump in and tell them to answer me and obey, or he’d remind me that I didn’t get a response from them. So those are just a few thoughts. Hope they help! Hi Kathie – thank you so much for the post, it really blessed me. I have an almost 7 year, 5 year and already 2 1/2 year old, plus 3 month old baby. Obedience in our household seems to come only after threatening (mainly the almost 5 year old, although my oldest also have bad moments, and the 2 1/2 year old seems to be picking up on what the oldest two are doing, so he is swiftly becoming a delayer when it comes to obedience). 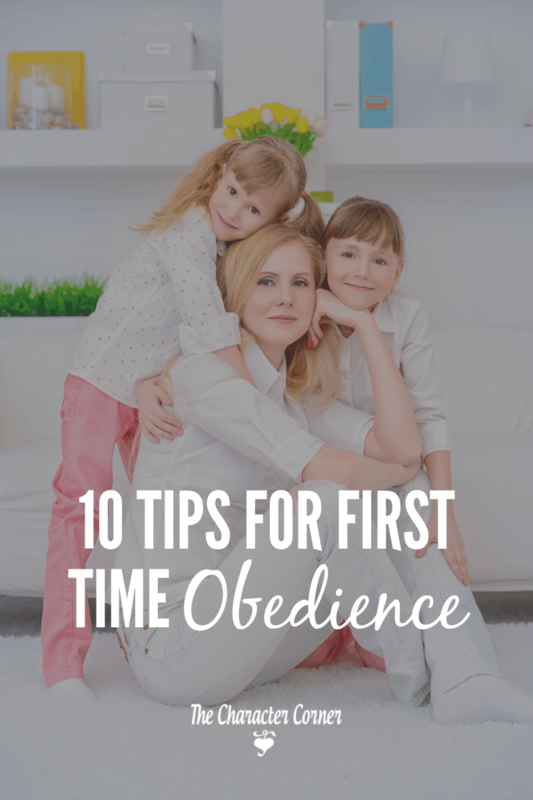 Even though I believe in first-time obedience, we’ve not been good at practicing it, so i’m looking forward to implementing the things you mentioned here. I wanted to ask though whether you had examples of how to make the immediate obedience into a game as you mentioned in #2? 😀 Thank you! What are good consequence ideas for not obeying the first time or if she does obey the first time she usually grumbles and whines. She is 3. I usually put her in time out, but more often than not she gets a nasty attitude for the punishment and always repeats the action. I’ve tired sitting down with her and going over me requiring first time obedience, but she usually doesn’t do it. For a three year old, that is kind of common behavior as well as something she has gotten into the habit of doing. Before consequences, I would spend a week or two working with her regularly. In the morning have a little character lesson about obedience. (Little Lads & Ladies of Virtue would be great for her!) Explain that obedience is doing what you’re told WITH a good attitude. (No whining or complaning) Then do some role playing with wrong responses — make it fun, and remind her that’s what we DON’T do. Then practice right responses. Ask her to do something and have her respond right. Much of training at that age is practicing the right responses. When she gets it wrong, stop her and say: “Let’s try that again and see if you can respond better this time.” Try to be very consistent and remind her EACH time she forgets. After a couple weeks of practice and reminder, she should have better habits in this area. I would let her know she’s doing great, and maybe use our character chart then and tell her EACH time she obeys with a good attitude she’ll get a mark on her chart, and after so many marks she will get a treat. Brag on her to daddy when she does well. POSITIVE reinforcement is the best way to get kids to repeat desired behavior. After all the training, let her know there she has learned, and there will be consequences for not obeying. (But strive to look for and catch the positive cuz that will encourage her to try.) Be gentle when she fails, and let her know “I’m sorry you didn’t obey. Now you have to sit in time out for 3 minutes. When the timers goes off you can get up. If you complain, we will start over, etc. Thank you for the straightforward post. It was a pleasure to read. Hi! My son is just shy of 3 (33 months). He does obey decently and truly does want to do the right thing; however, he sometimes does the opposite of what I ask just to get a reaction. For example, he likes to think getting out the door is a game. Instead of coming to me to get his shoes on he laughs and runs away. I have to pretend I’m ready to leave for him to come running (I know this is not good!). I almost have to make a threat for him to comply – “come to the table or daddy might eat your sandwich.” I know I’ve gotten into an awful habit but I just don’t know how else to get him to obey right away! I want obedience to come from love and not fear of consequences or an eaten sandwich ;). I give him options whenever possible but sometimes he has to obey no matter what. Any ideas? Hi Michelle, That’s a hard question! My little granddaughter will be 3 in August, and she does the same thing. She doesn’t mean to be bad — she thinks it’s funny or a game to run away. However, if I get stern with her and tell her “Grandma said come — you need to come right now” she will usually listen. If she doesn’t, I will go get her and sit her on the couch for not listening. She cries for a few minutes, then I have her apologize and I remind her that she needs to listen, and I let her up. I guess the key thing is to determine whether it is deliberate disobedience or just childishness that needs training. I wouldn’t do the threats, but rather work on positive reinforcement. Play a game where you practice with him — tell him when Mommy calls you, you say “yes Mom” or “yes ma’m” and come running. (It’s easier to do this if you husband is helping encourage him to run to you, then he calls him to come back to him. Each time he does it,hug him, clap, and tell him good boy! You came when Mommy (or Daddy) called you. Practice every day for awhile till you start seeing him remember at other times. Training and practice is important at that age. So be consistent, and keep working with him. What about young toddlers? My twin boys are 19 months old, and I really need to instill FTO now for everyone’s safety and sanity. Your tips are good, but seem to be geared for older toddlers. Any ideas for me? Hi Carrie! At that age they are definitely learning and need lots of training — I suggest staying very close to them all day and training each time it is necessary. Like touching something they shouldn’t — hold their wrist or hand and say NO. Then keep at it till they realize they can’t touch it. With calling them to come, it might take a little longer, but try practicing it with your husband’s help, and eventually they will get it. It really requires A LoT of time at that age, but once they get it and begin to obey, things will be much easier! I love this post and really need to be consistent. My challenges include slowing down to follow through on my first time instruction, praising them when they obey the first time and also having appropriate consequences when they don’t obey. Those consequences seem to be the hardest. Do you have good suggestions for our 10 y.o girl, 8 y.o. girl, and 5 y.o. boy (who is really pitching some major screaming fits these days)? 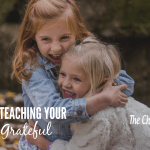 We just started home schooling this year and character is something we certainly need to spend time developing. I really appreciate your wisdom and guidance! Hi Michelle! Glad you liked the post. 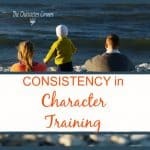 Being consistent is a challenge for every mom, I think! And choosing appropriate consequences can be challenging. It’s best if you choose consequences that fit the offense when possible. For example, if they leave their bike out in the rain when they were told to put it away, they don’t get to use it for a set time because they haven’t been responsible in taking care of it. If they don’t do their chores, give them additional chores. As far as the fits go – I would make him go and sit on the bottom step or a place where there is nothing he can do (no toys) and away from the others. Calmly tell him he has to sit there until he’s done screaming. When he stops ask him if he is done, and if he says yes, then go and talk to him about it. Express understanding that he was upset about whatever, and then let him know there are better ways to handle it, and give suggestions. Then practice. Do whatever it was that set him off, and have him respond right. Next time he throws a fit do it again. Make sure he never gets what he wants when he is pitching a fit, and that it is never worth it. Kathie! This is soooo good! My husband and I are very strict with our kids, so this is something I’m very passionate about. Being very strict though comes with lots and lots of relationship with each child, investing and pouring life into them more than the amount of discipline. Thanks for sharing you tips on this. Thank you Denise! Glad you enjoyed the post. I’m glad you focus on relationship, because that is SO vital! Being strict and having rules with no relationship often leads to rebellion. Keep up the good work! This looks like a fantastic resource for parents. I’m pinning and plan to share with the young moms in my family. Wonderful reminders! We are currently traveling and living out of a hotel, due to this, I have allowed my children to get away with much more than usual. They are sensing my lack of commitment and have been testing their limits. We need to stick to our rules regardless of where we are. Thank you for the great ideas! God bless. What types of consequences do you use when the aren’t obedient the first time? Hi Becky! Each situation is different — but let’s say our kids didn’t pick up their toys when they were told to — a good consequence would be “I’m sorry – but since you can’t take care of these toys (the ones left out) we will have to put them away for awhile. The key is to relate the consequence to the offense. Also — there are times (shouldn’t be a regular thing once they have been trained) that you can give them a chance to “try again” == especially if they have been doing pretty good with obeying but are having a bad day. (Just like God shows us grace/mercy at times. Thank you for this wonderful post. I have a for year old and a two year old and I’m going to work on this right away. However, could you give me some ideas of how to implement consequences? I struggle with finding natural consequences for certain behaviors that do not end up just being punishments. For example, what do you do if the child refuses to sit down to eat, or gets up before being done? Do you leave then without dinner? Or what consequence do you use of they are being mean or not sharing? Usually we take the not shared you away, but it doesn’t usually hello to change the behavior. What about if they do not get their way on something they want and start throwing a tantrum, hitting or screaming? We try to use a call voice and a time out (usually on the crib where they cannot just get up and go play), but sometimes that escalates and it breaks my heart. We try to stay connected, have quality time, and use positive parenting, but some of these behaviors are hard to curve and there aren’t many natural consequences that are influential enough to make an impact. Any advice you may have for these three scenarios would be much appreciated!